Two Africans who both stepped up to major tasks in their own rights – but in very different roles – have been featured on TIME magazine’s 100 Most Influential People (TIME 100) 2018 list. Zimbabwean president Emmerson Mnangagwa and US-based South African comedian Trevor Noah are two of 100 – among other names such as Donald Trump, Oprah Winfrey, Rihanna and Prince Harry. The TIME 100 list features individuals recognised for changing the world, regardless of the consequences of their actions (which explains the inclusion of Donald Trump and other controversial people before him). Individuals or a group of people are exclusively chosen by TIME editors with nominations coming from the TIME 100 alumni and the magazine’s international writing staff. Each entrant has a short write-up written by an equally prominent individual, describing what makes them influential. 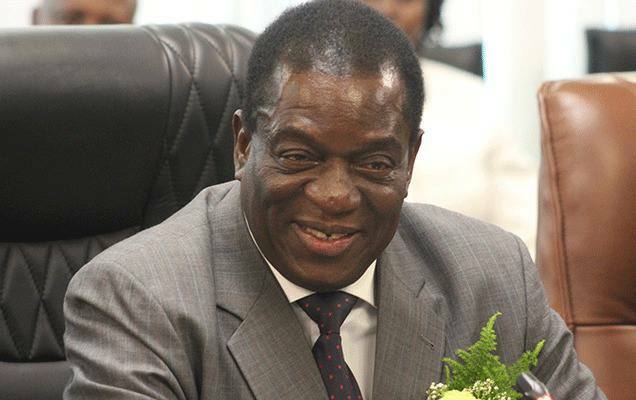 Mnangagwa is listed in the leaders category, with the write-up on him by Zimbabwean activist, Evan Mawarire. “The elation that greeted the end of Robert Mugabe’s 37-year reign naturally enough transformed into hopes for his successor,” Mawarire says. “A fantastic storyteller, he has always been a defier of rules, which he broke simply by being born in his native country. At The Daily Show, which he has truly globalised, Trevor seeks out comedians of colour in every possible venue, no matter how small,” writes Hollywood actress Lupita Nyong’o on Trevor Noah, who is listed in the pioneers category. Tennis star, Roger Federer and actress Nicole Kidman are among six entrants on is this year’s various TIME 100 front covers.